If you take a look at the majority of sports fans today, you would find that while they love watching their favorite teams play, it is often difficult for them to find the inspiration to exercise like their favorite players or teams. If there was a way to motivate sports fans to workout by using their favorite plays in sports history that showcase their favorite players, would they take advantage? We believe so. This is where ProActive comes into play. 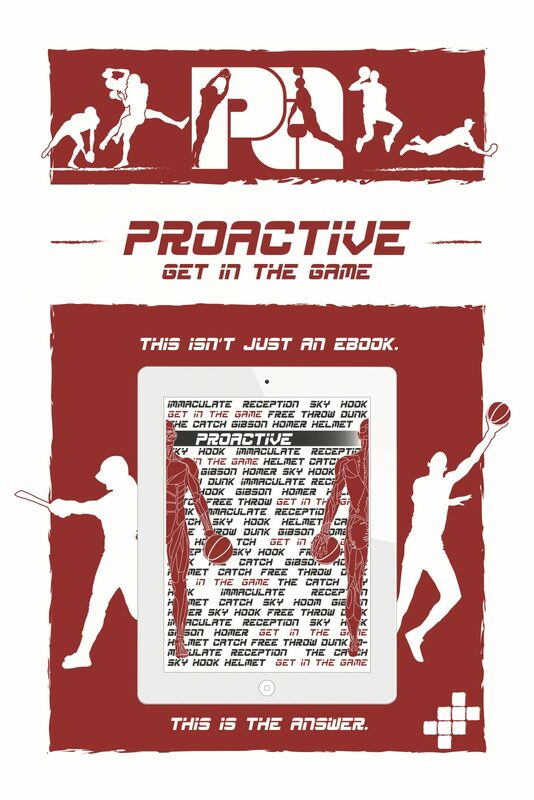 ProActive is an interactive, user-friendly eBook that makes it possible for users to re-create their favorite sports moments by educating them about how to exercise the muscle groups needed to perform the plays. ProActive uses famous plays from sports history, such as Michael Jordan’s famous free-throw line dunk, targets the muscles used in that particular play, and creates customized workouts that strengthen those same muscles. By following a specifically tailored workout plan, users can exercise like some of their favorite sports heroes. Our app is created using jQuery mobile, and is accessible on multiple platforms. You start by selecting your sport from a list of various options. Then, you are taken to a list of plays within that sport, which will include a brief description and context of the game that the play was in. Turn the page, and you will see a diagram outlining the major muscle groups that were utilized, and finally, a workout plan that strengthens those muscles we identified. Continue to use these workouts to get in shape just like your favorite players in history.